A customer who called a bank to apply for a loan was told "all vegans should be punched in the face". The Bristol woman, who did not want to be named, went to NatWest for a loan to pay for a £400 nutrition diploma. The application was rejected but after listening to a recording of the call, NatWest offered to pay for the course. The bank said the outburst - which came after the woman told the bank worker she was a vegan - was "wholly inappropriate". 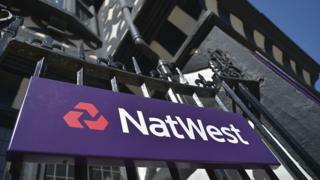 NatWest also offered the woman compensation of just under £200. The woman said after the man told her "all vegans should be punched in the face" he explained it was because vegan activists had drawn pictures of animals and written messages such as "friends not food" in chalk on pavements near where he lived. "He wasn't happy to be speaking to me at all, his tone was really unpleasant. Being vegan is a lifestyle choice, I shouldn't be penalised for it, especially by a big organisation. It's extremely unfair."